The Power Package is supposed to help with a variety of things, but its one trick is just a bit too limited. Every so often, a training aid grabs the market and enjoys a really nice run. In 2018, the Power Package was one of those devices, and after a full season of using it with some students, I’ve got some thoughts. Read on to see how I felt about the Power Package. This isn’t your typical review, but I wanted to formalize my feelings toward a product we’ve used at our indoor training facility for years. Many years ago, when this site was in its infancy, I wrote an article about how you could build your own 8′ x 8′ putting green relatively inexpensively. That putting green served me well for the few months before I bought my house. It was not worth moving, so I left it (with permission) for the next owner(s). For years afterward, I went without a home putting green (the carpet in my living room stimps at about 8, so it could be used in a pinch). Then, in late 2011, we opened Golf Evolution in downtown Erie, PA. GE included a 2000 square foot putting green, and after exhaustive research, we partnered with a company called SynLawn for the putting surface. Last winter, we finished our basement. With a competitive junior golfer in the house, I again felt the urge to build a putting green that she (and I) could use to work on our games when we couldn’t (or didn’t want to) drive the eight miles to Golf Evolution. So, I built a frame out of some 80/20 aluminum slot rails and flattened and glued down some of the remaining Wittek turf I had from years ago. It had been safely kept in good conditions, rolled up lengthwise, in the meantime. 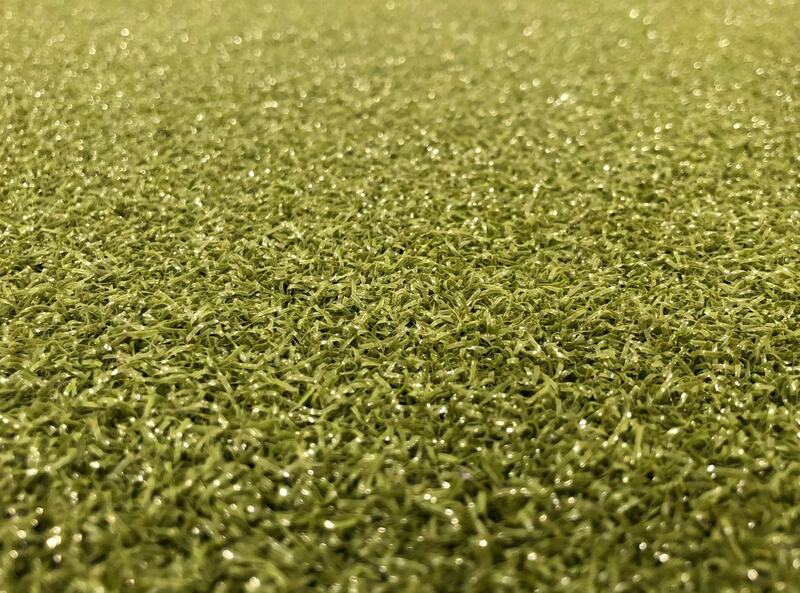 The Wittek putting surface was never great. Despite flattening the carpet for weeks, random bumps would pop up. The surface was eventually glued, but bumps still appeared, and then migrated. Balls could roll over the same area and go left or right seemingly on the whims of fate, and often dramatically. The surface was hard and crunchy and even a little bit “prickly” beneath your feet (it’s our house, so we’d often putt in socks or barefoot). It was an “okay” surface – better than nothing and slightly better than our living room carpet – but it wasn’t what we wanted. So, I ripped it off, sanded down the glue spots (probably unnecessarily), and installed some SynLawn turf. The instant we put it down, we knew we’d made the right choice. For just under $500, does this little machine pack a powerful punch for the price, or is it just another in a line of expensive training aids and devices? 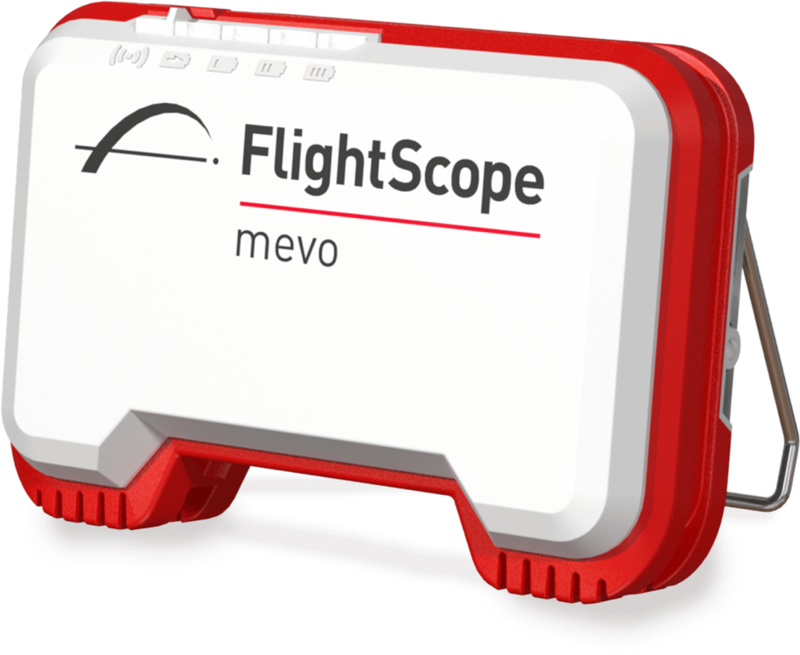 Yes, that’s a regulation golf ball, and a real-life Mevo. It’s that small. Sounding too good to be true? Can FlightScope really deliver on these promises? Read on to find out what we thought in our extensive testing. 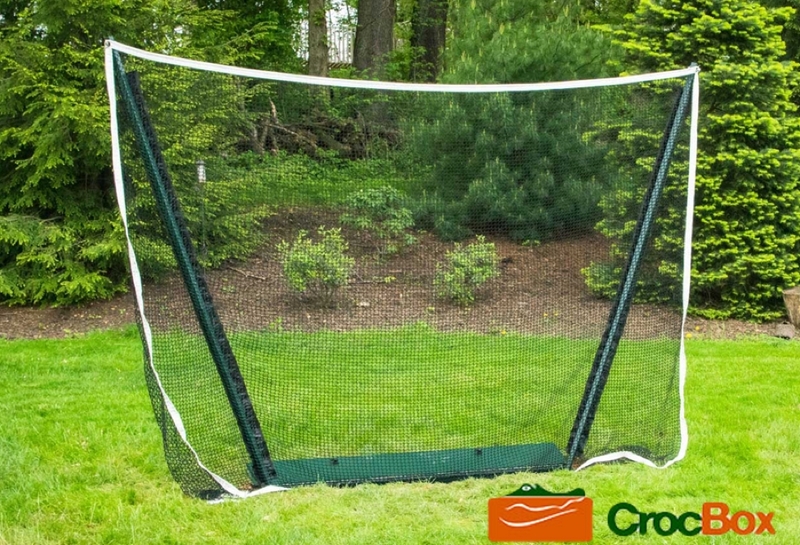 The CrocBox is an easily foldable multi-sport hitting net that enables nearly instant practice sessions in your back yard. If it works… what could be better? I live about two miles from a practice range at a great course, I work at Golf Evolution, an indoor, year-round practice facility that’s about seven miles (by car, not as the crow flies) from my house, and even I find that a small desire to practice is often tempered by the time it will take to get my clubs in the car, load up my camera or tripod (or both), head out to the course or our facility, get balls, and film. The travel alone may take anywhere from 10-25 minutes, and in that time I could have completed a pretty good practice session if I just had a net in my backyard. Backyard nets are nothing new. We have many, many topics on them on the forum. There are several solutions out there, too… from the homebrew models put together with PVC pipe and some netting to actual practice nets produced by some known companies, ranging in price from $80 to $1,000 and up. While the convenience of a backyard hitting net is unmatched, mowing around the net can be a pain, and they’re a bit of an eyesore. I’ve recently been getting a lot more practice in lately – in bursts as short as five or ten minutes – because of the CrocBox. The CrocBox is a collapsing net system that folds into a weather-proof box that installs at ground level. CrocBox promises the convenience of a backyard hitting net without the negatives: mowing around it, having to stare at a net in your back yard, or traveling to a golf course or facility to get in a little practice. Let’s take a deeper look at the CrocBox. Has advancements in motion sensor technology made 3D swing analysis possible for the average golfer? Golf is hard (a registered trademark of this site’s owner…). Even the pros do not go about improving without some help from modern technology. For some, it may be with high-end launch monitors like TrackMan or FlightScope. For most of us, the price tag of one of those units puts them out of reach. Fortunately, it seems nowadays that more electronic products are coming out for the everyday golfer that are designed to be both helpful and affordable. 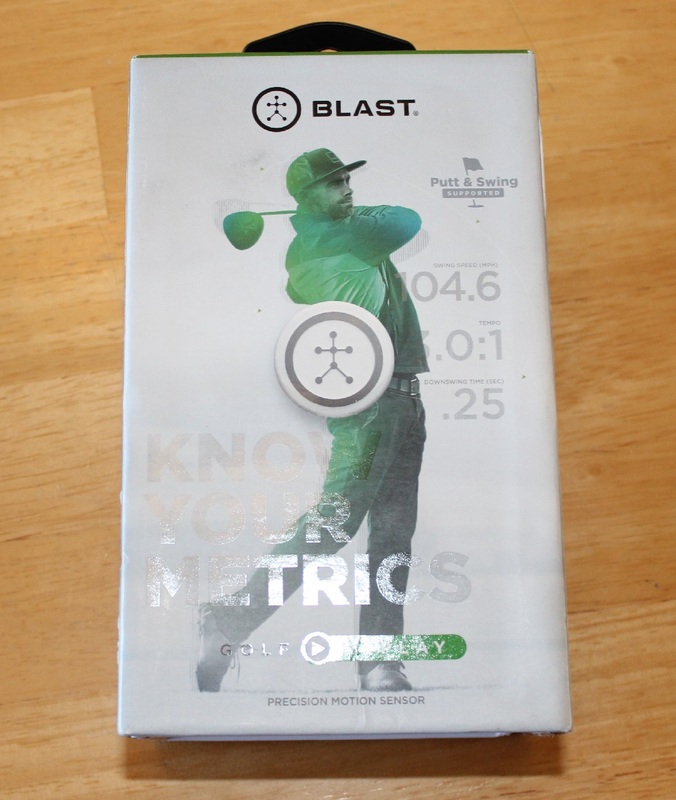 One of those products in the market is the Blast Golf, created by Blast Motion. The company is a leader in motion capture and analysis technology. They create products for a variety of sports and continue to develop new ways to use motion sensor technology to help athletes improve. For golfers, their sensor is designed to detect the movements of the golf swing and analyze it, giving an indication of how well they perform in various functions of the swing and where they can improve, all while taking high-speed video. Having a good swing trainer at home would be a boon to any golfer who works to improve their game, but is it the real deal? Let’s find out. SKLZ introduces Golf Strong, a new video training program specific to golfers to improve distance, accuracy and flexibility. 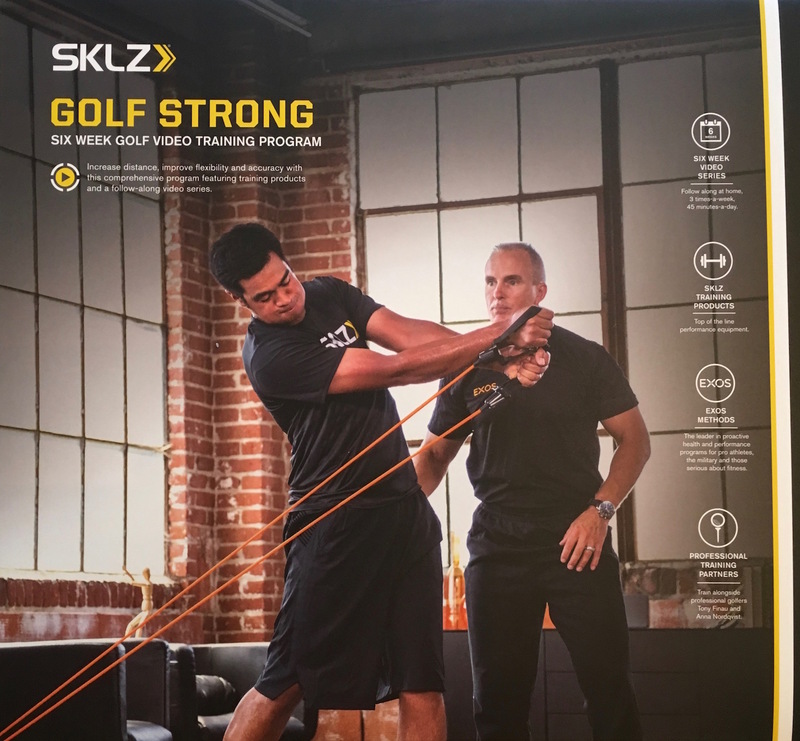 A little while ago, SKLZ introduced the Golf Strong Video Training program, a six-week training program designed to improved distance, accuracy, and flexibility that is portable and easy to use. The two-phase Golf Strong program provides video instruction for three training sessions per week that are 30 to 45 minutes long. Let’s take a look at the program. An exciting new training aid designed to help the golfer during set up, the backswing, the downswing, and even chipping. Join me as I take the new Tour Angle 144 for a spin. They say that there is a sucker born every minute, for me, that directly applies to golf training aids. I am drawn to them like a bee to honey, I just cannot help myself. With a garage full of them now you would think that I would have learned my lesson, but with the glimmer of hope that that next aid will be the key to longer drives and pin seeking irons, probably not. When I was given the opportunity to review the Tour Angle 144 I was extremely excited to get the opportunity to try out a new and exciting training aid. I first saw the Tour Angle 144 at the place that I see most of the training aids that I am drawn to: Golf Channel. The commercial itself was not very clear on how it helped the golfer other than in getting them in the proper set up. Therefore I didn’t give it much of a second glance. Once I was selected to do the review I did some more research and I was pleasantly surprised that it did more than just help the golfer in their set up position. Join me as I take a look at the very surprising device. The more you practice with feedback, the more ingrained the new motion becomes and the more reliable the new swing. We’ll see how effective the BenderStik training aid is at improving your golf swing. What if I told you that after the first five years of playing golf the odds of lowering your handicap by three strokes or more, is unusually rare? It almost never happens. The reason is because golfers revert back to our old habits. That’s why trying a tip in the latest golf magazine or listening to the Golf Channel doesn’t improve people’s games. Here to help is golf’s new training aid, the Benderstik. It’s designed to help you consistently working on a better motion by giving you instant feedback. 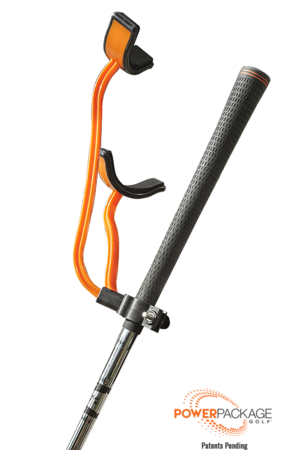 The Benderstik is literally a stick that is adjustable, bendable, and has a large foam ball attached to one end. It can be set it up for each golfer’s individual swing needs and if you revert back, there will be immediate feedback. You can set the Benderstik in the ground and adjust it where your head is against the foam ball to work on keeping your head steady or adjust it to avoid hitting the foam ball in the backswing or followthrough. Pipoe takes a different approach to the massive golf aid market. The Pipoe is a simple, convenient and affordable way to practice and build a foundation to the way you practice. Search the Internet for “golf training aids” and you’ll find a variety of gadgets that attach to your body, your club, the ground, your golf bag, etc. You’ll find flimsy and bulky devices ranging in price from $5 to $500. These training aids usually only fulfill a couple purposes, whether it’s fixing swing plane, ingraining an effective putting stroke, or improving swing speed. 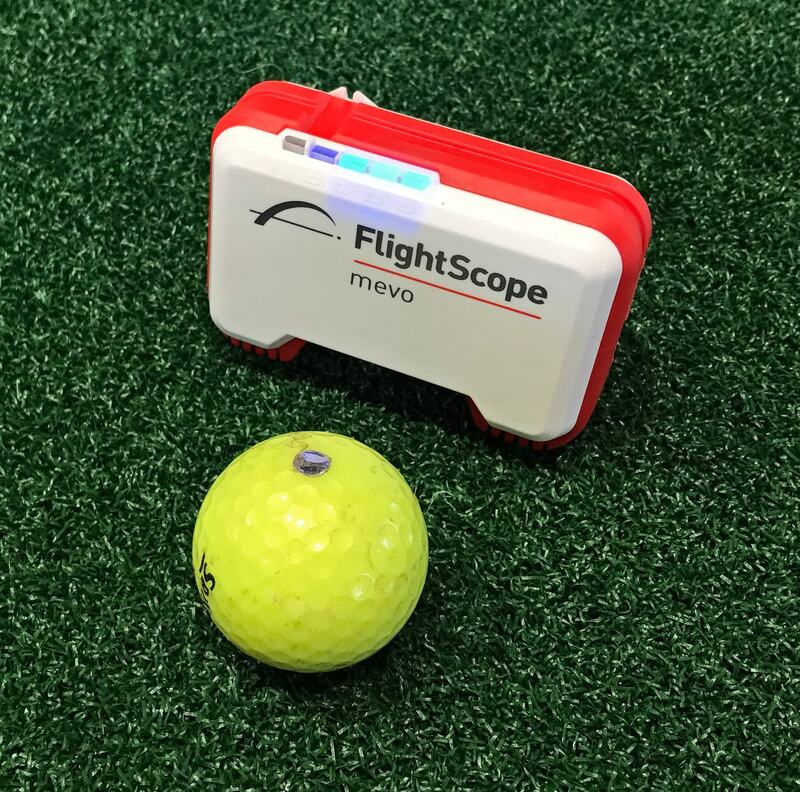 Hopefully from this review we’ll see how the Pipoe differs by offering an affordable, multi purpose practice aid to golfers, that can be used for as long as you play the game.